The standard narrative about the opioid crisis is one you probably know well. In many cases patients got hooked on prescription pills, and escalated toward heroin and synthetic killers like fentanyl. But there isn't just one path to addiction in this crisis. Mixtures of opioids with drugs like cocaine, and a spike in deaths especially among African-Americans has officials worried the crisis could get much worse. “People have to know that drugs don’t have a race. Drugs don’t discriminate,” says Jessica Horne, executive director of UMADAOP--a long acronym for Urban Minority Alcoholism Drug Abuse Program. “…which is why we call it UMADAOP,” Horne chuckles. She sits in a computer lab in an old library on Cleveland’s east side, which now serves as her office. Horne spreads the word about drug prevention, and offers techniques and programs to help people stay out of trouble. That is if they don’t die first, and many users are dying. Horne says in 2016 there were about 57 African-Americans who died from cocaine and fentanyl. "When we looked at right in the beginning of 2017, it was like we surpassed that in almost three months,” she says. 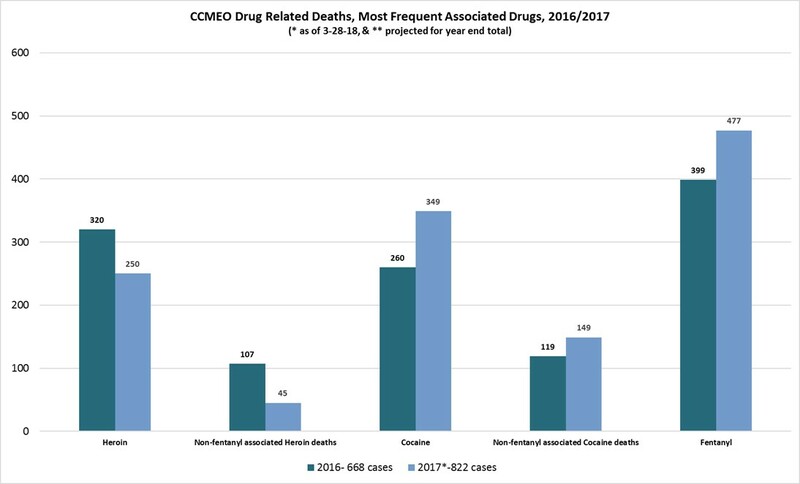 Deaths related to cocaine in Cuyahoga County have been fairly stable historically, about 100 to 120 cases a year, according to the Medical Examiner’s office. Hugh Shannon is the administrator at that office, and he says fentanyl is cheap, and it’s created by just mixing chemicals in a lab. Authorities have since identified China as a major source for synthetic opioids, creating a perfect storm for fatalities. 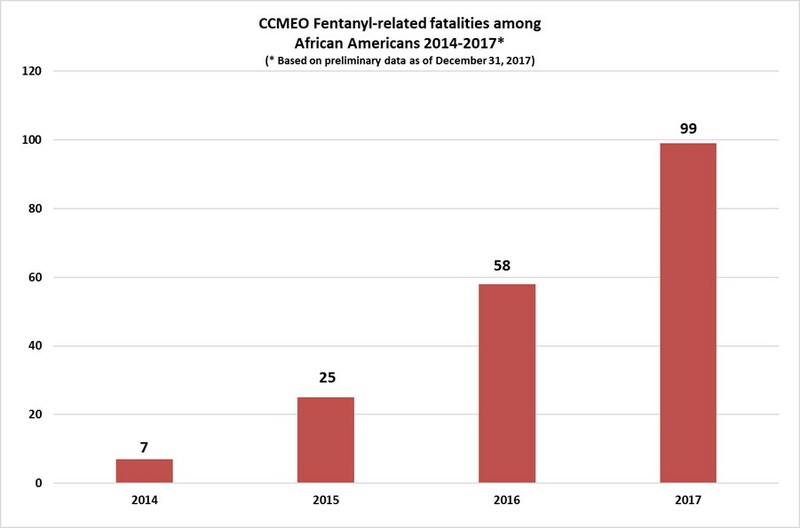 Shannon says the number of fentanyl deaths among African-Americans was a fraction of total deaths in the crisis at first, say 50 of 400, so the threat could be buried to people not watching trend lines closely. But the Medical Examiner’s office under Dr. Thomas Gilson has been watching. “So 2017 saw really just the full integration of fentanyl into the cocaine supply. It definitely was as prevalent as heroin was, and I think if you look at the numbers when it’s all said 2017 will have an equal number of folks who died with both heroin and fentanyl in their system, and cocaine and fentanyl in their system,” Shannon says. 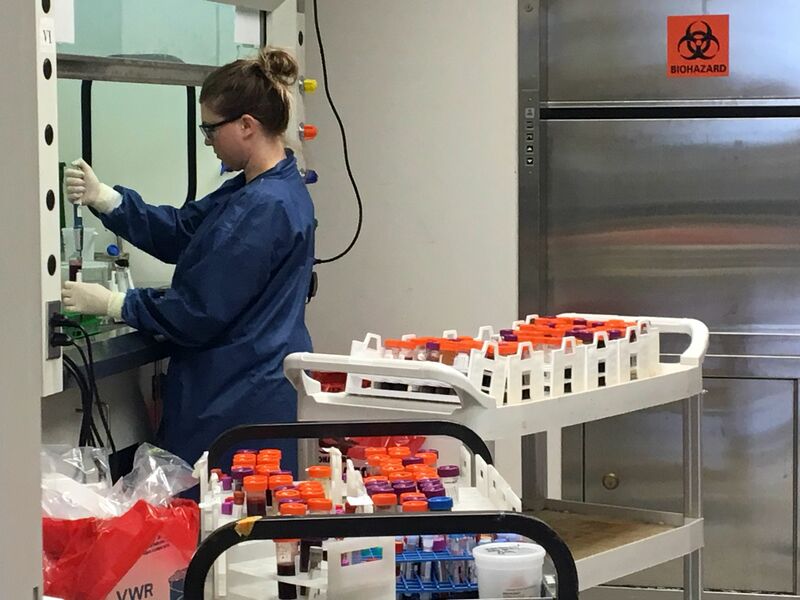 Cuyahoga County’s Medical Examiner has a full laboratory analyzing evidence collected in the field, and a toxicology lab reviewing blood and other samples from victims. It's an expansive facility, allowing scientists to compare notes at various stages of investigations. The potency of synthetic opioids has prompted this lab to keep fans for venting fumes on all the time, along with scientists wearing gloves and masks, etc. “With the volume of cases that we’re operating under right now with the crisis, I think we’ve gone from about 9 or 10 thousand to 25 thousand samples that get analyzed in this lab every year. So that’s a substantial increase,” Shannon says. It’s through a thorough analysis, and comparing samples between drug chemistry and toxicology, that the Medical Examiner discovered fentanyl mixed in with drugs like cocaine. It was another evolution in the crisis. 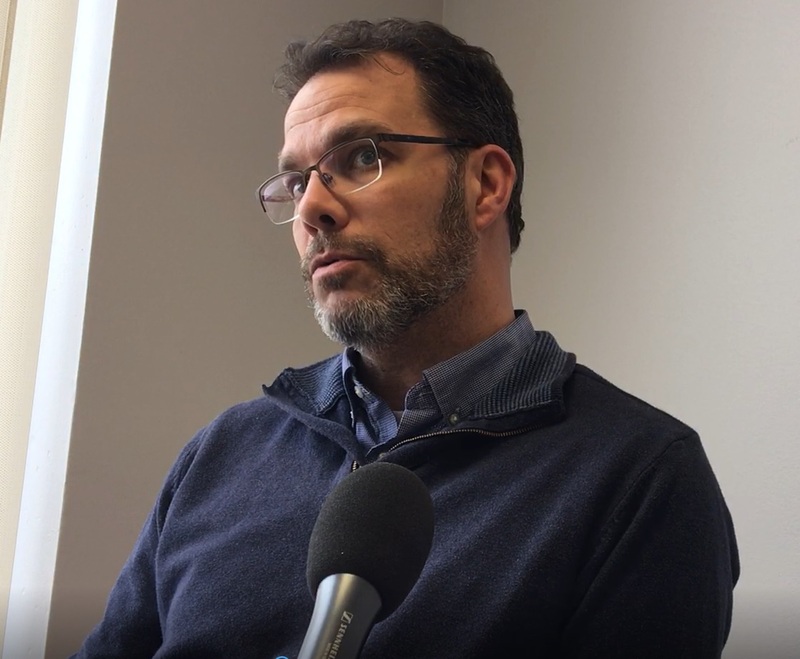 “It’s actually such a problem that I’ve stopped talking about there being an opioid crisis, and I speak more generally about there being a narcotics overdose crisis," says Justin Herdman, the U.S. Attorney for the Northern District of Ohio. Herdman says awareness is number one in this drug epidemic, that whatever people think they’re buying on the street, is not what a dealer says it is. So enforcement, but also increasing education, outreach, treatment, are all parts of addressing the crisis. Horne is reluctant to more directly talk about the role race may be playing in how our society is dealing with the opioid crisis. "There's too many people dying for that," she says repeatedly. But I asked what would be needed in this crisis or others to change how we look at the victims. If the opioid crisis is seen as a “white problem” by a lot of people in the community, whereas the crack cocaine epidemic was dubbed a “black problem,” I asked what do she thinks needs to happen to address this as a people problem, and we just say people are dying, citizens are dying, people in our bigger community are dying? Jessica Horne says there are deeper issues that should be dealt with to truly impact the drug epidemic. She says our society impresses on us that there is a solution to our stress, pain, trouble, outside of us. But she thinks part of the solution is strengthening community social support, especially for young people. She says houses may look fine on the outside, in the city or the suburbs, but inside there could be figurative fires—or crises—raging. The key is to learn to live in the fire and not burn up…and find a way out.